Zhenyu (Henry) Huang received his B. Eng. from Huazhong University of Science and Technology, Wuhan, China, and Ph.D. degree from Tsinghua University, Beijing, China, in 1994 and 1999, respectively. Prior to joining PNNL in 2003, he conducted extensive research at McGill University (Canada), the University of Alberta (Canada), and the University of Hong Kong. He is currently Laboratory Fellow and Technical Group Manager with the Energy and Environment Directorate, Pacific Northwest National Laboratory, Richland, Washington, USA. He leads the Advanced Grid Analytics portfolio at PNNL and manages the Optimization and Control Group, focusing on developing and adapting latest math, computing, and data analytical techniques to understand and manage the emerging complexity in the power grid and other associated infrastructures. 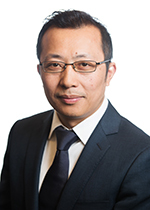 Dr. Huang’s research interests include high performance computing, data analytics, and optimization and control for power and energy systems. His ability to link fundamental science with engineering problems was well recognized. He has led research and development efforts that produced important software packages for power grid modeling and simulation including GridPACK and HELICS. He pioneered the use of modern high performance computing in power systems and currently leads the only exascale computing project for power grid applications. Dr. Huang has over 140 peer-reviewed publications. Dr. Huang is a Fellow of IEEE and is active in several IEEE Power and Energy Society (PES) technical committees, including officer roles at committee, subcommittee, and working group levels. He led the Richland Chapter to win the 2007 IEEE PES Outstanding Small Chapter Award. He is recipient of the 2008 PNNL Ronald L. Brodzinski’s Award for Early Career Exceptional Achievement and the 2009 IEEE Power and Energy Society Outstanding Young Engineer Award. Dr. Huang is a registered Professional Engineer in Washington State. Power system stability and control, high-performance computing applications, data analytics, and optimization and control of energy infrastructures. 2009 IEEE PES Outstanding Young Engineer Award. 2007 IEEE PES Outstanding Small Chapter Award. U.S. Patent No. 8,126,804, February 28, 2012, "Decision Support Systems and Methods for Complex Networks". Wang S., R. Huang, Z. Huang, and R. Diao. 2016. Decoupled Modulation Control. PNNL-25450. Richland, WA: Pacific Northwest National Laboratory. Chen Y., and Z. Huang. 2014. "A High Performance Computing Platform for Performing High-Volume Studies With Windows-based Power Grid Tools." In The 19th World Congress of the International Federation of Automatic Control, August 24-29, 2014, Cape Town, South Africa, 10772-10777. Rondebosch:International Federation of Automatic Control. PNNL-SA-99412. Chen Y., M.J. Rice, K.R. Glaesemann, S. Wang, and Z. Huang. 2014. Sub-Second Parallel State Estimation. PNNL-23830. Richland, WA: Pacific Northwest National Laboratory. Huang Z., K.P. Schneider, J. Nieplocha, and N. Zhou. 2014. "Estimating Power System Dynamic States Using Extended Kalman Filter." In IEEE PES General Meeting , Conference & Exposition, July 27-31, 2014, National Harbor, MD. Piscataway, New Jersey:Institute of Electrical and Electronics Engineers. PNNL-SA-100167. Huang Z., and Y. Chen. 2012. "High-Performance Computing for Advanced Smart Grid Applications." In Smart Grids: Infrastructure, Technology, and Solutions. Electric Power and Energy Engineering, edited by S Borlase. Boca Raton, Florida:CRC Press. PNNL-SA-85675. Zhou N., Z. Huang, F.K. Tuffner, S. Jin, J. Lin, and M.L. Hauer. 2010. Algorithm Summary and Evaluation: Automatic Implementation of Ringdown Analysis for Electromechanical Mode Identification from Phasor Measurements. PNNL-19172. Richland, WA: Pacific Northwest National Laboratory. Chen Y., S. Jin, D. Chavarría-Miranda, and Z. Huang. 2009. "Application of Cray XMT for Power Grid Contingency Selection." In Proceedings of the Cray User Group Meeting: Compute the Future. Corvallis, Oregon:Cray User Group, Inc. PNNL-SA-66173. Zhou N., Z. Huang, F.K. Tuffner, and S. Jin. 2009. Oscillation Detection Algorithm Development Summary Report and Test Plan. PNNL-18945. Richland, WA: Pacific Northwest National Laboratory. Huang Z., P.C. Wong, P.S. Mackey, Y. Chen, J. Ma, K.P. Schneider, and F.L. Greitzer. 2008. "Managing Complex Network Operation with Predictive Analytics." In Proceedings of AAAI Spring Symposium on Technosocial Predictive Analytics, edited by A Sanfilippo, 59-65. Menlo Park, California:AAAI Press. PNNL-SA-63337. Lu N., Y. Xie, and Z. Huang. 2008. Air Conditioner Compressor Performance Model. PNNL-17796. Richland, WA: Pacific Northwest National Laboratory. Nieplocha J., D. Chavarría-Miranda, V. Tipparaju, Z. Huang, and A. Marquez. 2008. "A parallel WLS state estimator on shared memory computers." In Proceedings of The 8th International Power Engineering Conference, IPEC 2007, 395-400. Piscataway, New Jersey:IEEE. PNNL-SA-57075. Huang Z., A.J. faris, K.E. Martin, J.F. Hauer, C.A. Bonebrake, and J.M. Shaw. 2007. Laboratory Performance Evaluation Report of SEL 421 Phasor Measurement Unit. PNNL-16852. Richland, WA: Pacific Northwest National Laboratory. Huang Z., B. Lesieutre, S. Yang, A. Ellis, A. Meklin, B. Wong, and A. Gaikwad, et al. 2007. Load Monitoring CEC/LMTF Load Research Program. PNNL-17110. Richland, WA: Pacific Northwest National Laboratory. Huang Z., K.P. Schneider, and J. Nieplocha. 2007. "Feasibility Studies of Applying Kalman Filter Techniques to Power System Dynamic State Estimation." In International Power Engineering Conference. IPEC 2007, 376-382. Piscataway, New York:IEEE. PNNL-SA-55502. Huang Z., R.T. Guttromson, J. Nieplocha, and R.G. Pratt. 2007. "Transforming Power Grid Operations." Scientific Computing 24, no. 5:22-27. PNNL-SA-54302. Nieplocha J., A. Marquez, V. Tipparaju, D. Chavarría-Miranda, R.T. Guttromson, and Z. Huang. 2006. "Towards Efficient Parallel State Estimation Solvers on Shared Memory Computers." In Highspeed Computation Panel of the Proceedings of the 2006 IEEE Power Engineering Society General Meeting, 18-22 June 2006, 1-5. Piscataway, New Jersey:IEEE. PNNL-SA-48162. Vieira J.M., W. Freitas, Z. Huang, W. Xu, A. Morelato, and A. Morelato. 2006. "Formulas for predicting the dynamic performance of ROCOF relays for embedded generation applications." IEE Proceedings. Generation, Transmission, and Distribution. 153, no. 4:399-406. PNNL-SA-52276. Zhou N., Z. Huang, J. Nieplocha, and T.B. Nguyen. 2006. "Wide-Area Situational Awareness of Power Grids with Limited Phasor Measurements." In Third International Conference on Critical Infrastructures, Alexandria, VA, September 24 to 27, 2006. Blacksburg, Virginia:International Institute for Critical Infrstructures. PNNL-SA-49658. Freitas W., W. Xu, C.M. Affonso, and Z. Huang. 2005. "Comparative Analysis between ROCOF and Vector Surge Relays for Distributed Generation Applications." IEEE Transactions on Power Delivery 20, no. 2:1315 - 1324. PNNL-SA-44455. Freitas W., Z. Huang, and W. Xu. 2005. "A Practical Method for Assessing the Effectiveness of Vector Surge Relays for Distributed Generation Applications." IEEE Transactions on Power Delivery Vol 20. PNNL-SA-39501. Xu W., Z. Huang, Y. Cui, and H. Wang. 2005. "Harmonic Resonance Mode Analysis." IEEE Transactions on Power Delivery 20, no. 2:1182-1190. PNNL-SA-40573. Huang Z., R.T. Guttromson, and J.F. Hauer. 2004. "Large-Scale Hybrid Dynamic Simulation Employing Field Measurements." In IEEE Power Engineering Society General Meeting 6-10 June 2004, 1570-1576. Piscataway, New Jersey:Institute of Electrical and Electronics Engineers. PNNL-SA-40305.